I've read this quote many times, and it has always stuck with me. Although you're probably a girl who is obsessed with makeup, fashion, hairdos, and so on, like me... it doesn't mean you're superficial and have to feel guilty about spending time on your looks. If looking good means you're feeling good, who has the right to take that away from you? 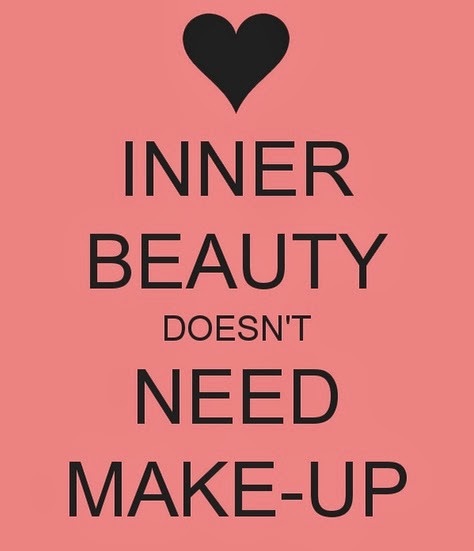 BUT also don't forget to find a balance between inner and outer beauty. Try to create some kind of happiness and peace each day and never let negativity get the best of you. Don't let hatred of others into your life, as it doesn't have anything to do with you. Lead by example and be an inspiration to people who haven't found their inner peace yet. By being nice and giving out compliments you might change someone's day, or even life, more than you know.